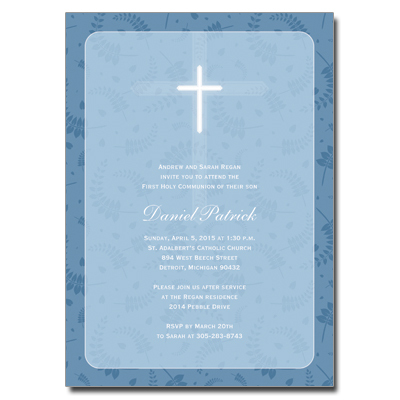 With so many local and online First Communion invitation printers to choose from - finding the perfect place can be a difficult task. How do you decide which one is right for you? 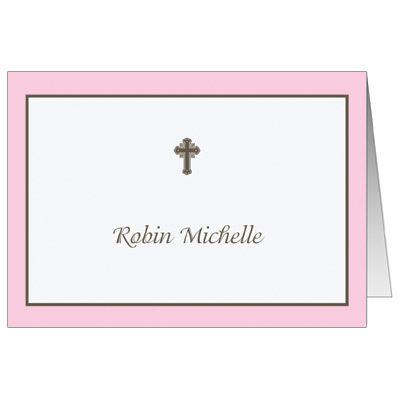 Here is a checklist of seven questions that should always be addressed before placing an order for CommunionCards.net First Holy Communion Cards. What is the quality of the invitations I am receiving? Certain invitation printers advertise their dirt low prices - and they are often the result of inferior paper quality and printing techniques. Decide what you are looking for (cheap price or high quality) and ask about your invitation paper stock before placing any order. If you want to be even surer of quality, ask specifically about the printing methods and type of printer used to create your invitations. 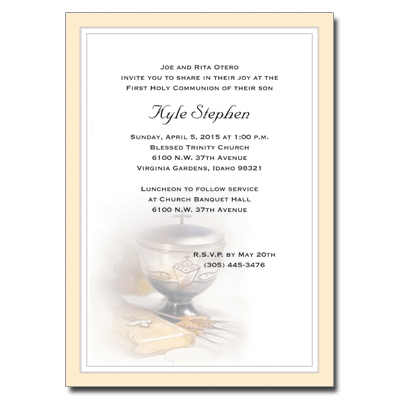 Does your First Holy Communion invitation company do their own printing? 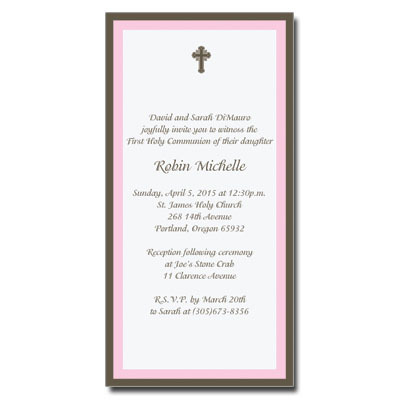 Many invitation retailers on the internet do not do their own printing. This is important for a number of reasons. If a company does their own printing, you are eliminating the middle man. This results in better quality control, more efficient customer service, and shorter production times. How long will it take until my order is printed? 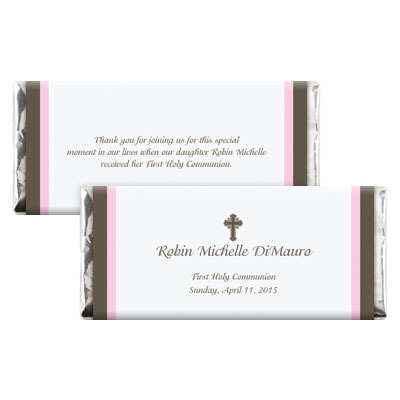 First Communions require invitations to be sent out a good deal ahead of time in order to allow for guests to RSVP. It can be helpful to find a printer that can fulfill and ship your order the same or next day. This is also important in the case that your guest list increases and you need to order additional quantities of invitations in a hurry. 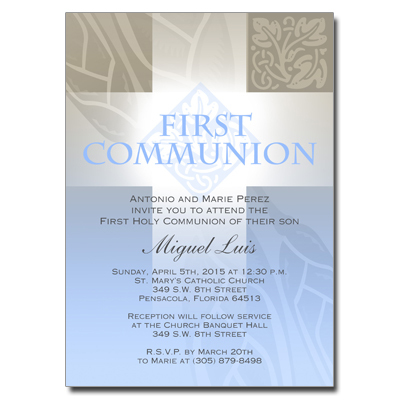 It is critical that First Communion invitations and stationery meet your quality requirements. Invitations are the first impression that guests will receive of your child's big day. As a result, it is extremely important to inquire about quality guarantees, return or re-print policies, and the time frame involved. 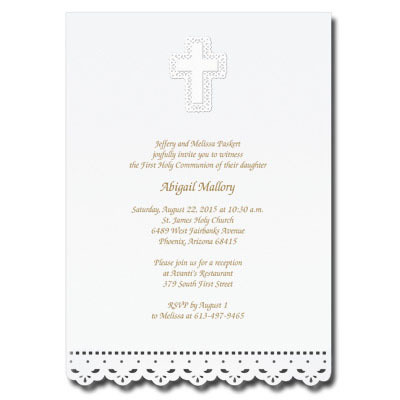 Before hiring a First Communion invitation printer, find out what is included with your order. Most invitations come with matching envelopes. However, some cards may require assembly, extra postage (due to large or square size), or return addresses. It is important to "address" these issues before making your purchase decision. *You can also ask about matching ensembles and accessories at this time as well. Are there any promotions I can qualify for? Check to see if there are any discounts or promo codes to be found. Don't be afraid to call and ask if no coupons or specials are being advertised. Can I see a sample or print ready proof of my card before I order? Mistakes can happen. For those on strict time schedules, an extra week or so of re-printing and shipping just won't do. Many companies will typeset your information, while others print exactly what you give them. In both cases you will want to request and double check a print ready proof. This will lower the risk of any spelling, grammatical, or design errors and possibly avert a disaster. So there is the checklist: 7 of the most important questions to ask before ordering First Holy Communion invitations. If a business cannot clarify any of these questions or doesn't give satisfactory answers, move on... there are plenty of others that will.